In Austin this week singing a wonderful program of Bach and Schutz with Ensemble VIII. 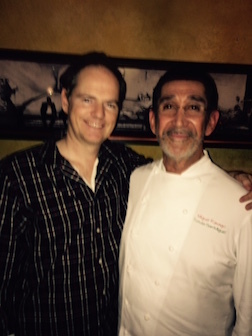 It was wonderful to spend time with Miguel Ravago at Fonda San Miguel last eve! Amazing food! Kitchen Opera will be writing a song featuring Miguel and the making of ‘Mole Poblano‘.